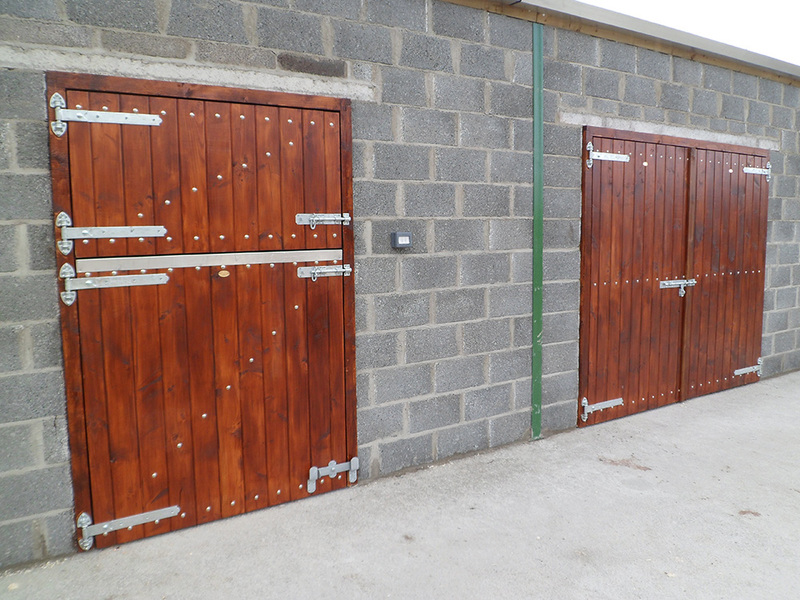 Swedish Redwood stable doors are of the highest quality; we only use Douglas Fir timber as a replacement if Swedish Redwood is not available; as it can be difficult to source. 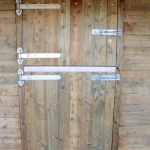 A Swedish Redwood stable door is 150mm x 30mm of timber, braced with 150mm x 30mm and a sheet of plywood fixed to the rear of the door. 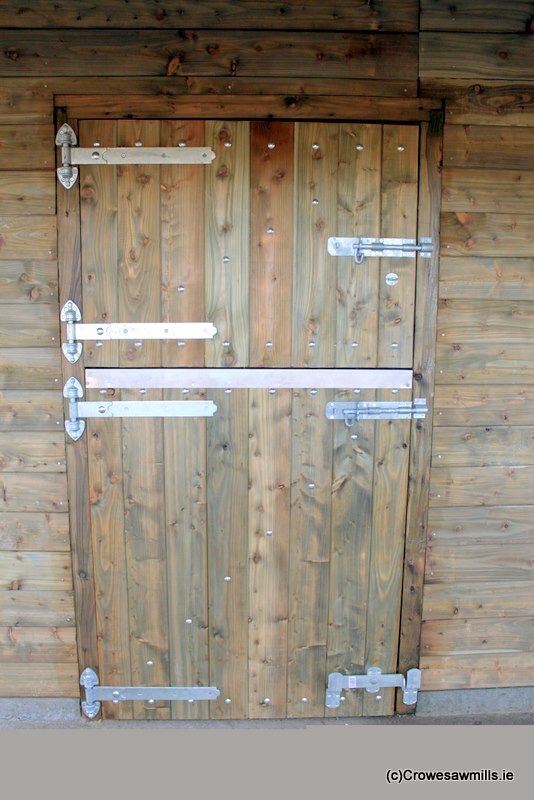 Swedish Redwood stable doors can be stained with a teak stain, pressure-treated green or clear deck oil. 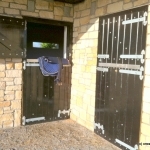 Alternatively, if you wish to supply us with a specific colour, we can apply it for you. 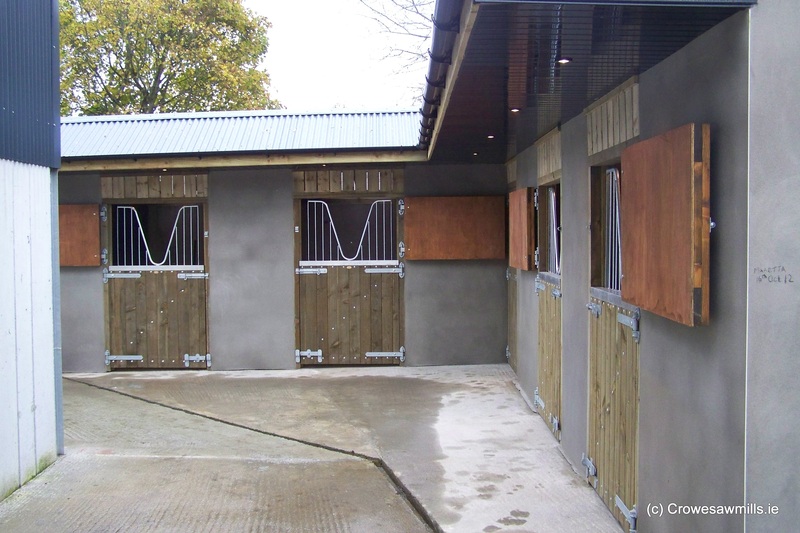 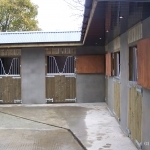 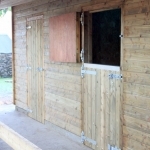 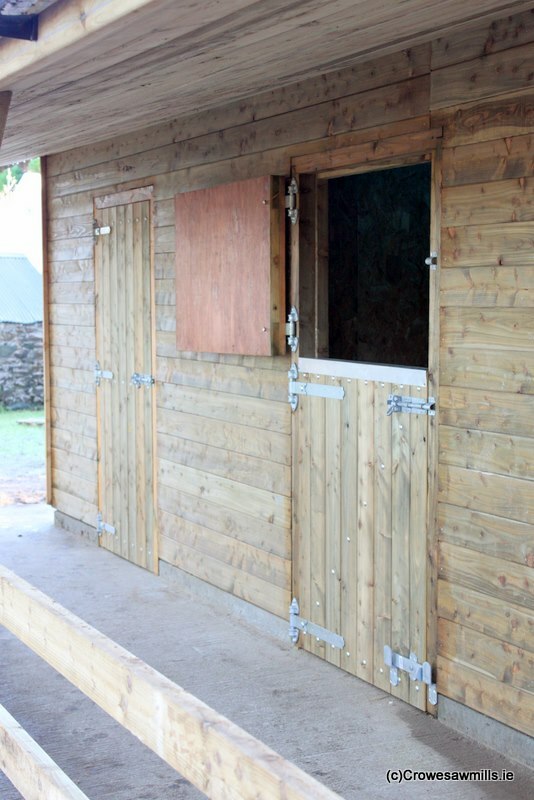 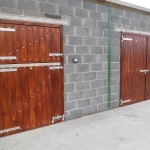 With larch stable doors,the resin can sometimes come out through the timber, and a small grey pigment can be left on the doors. 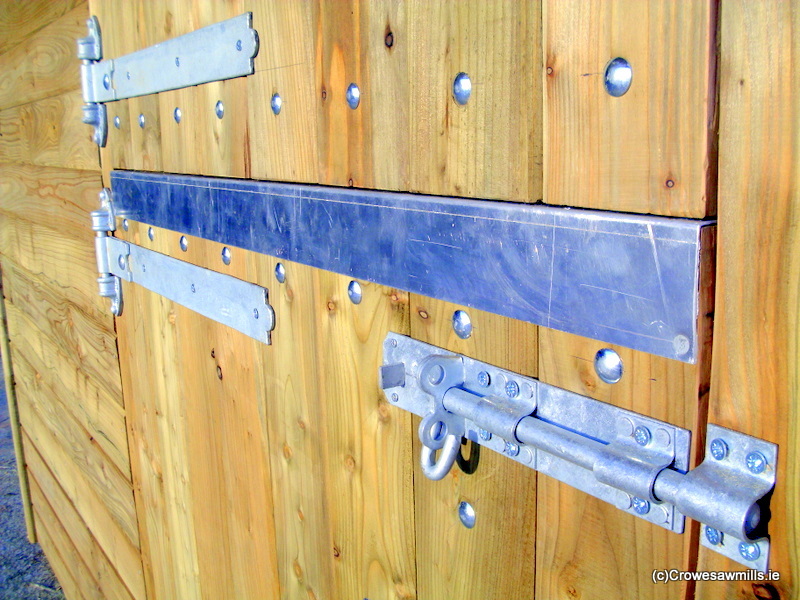 The best solution to this is to apply a light sandpaper, sand off and re-varnish. 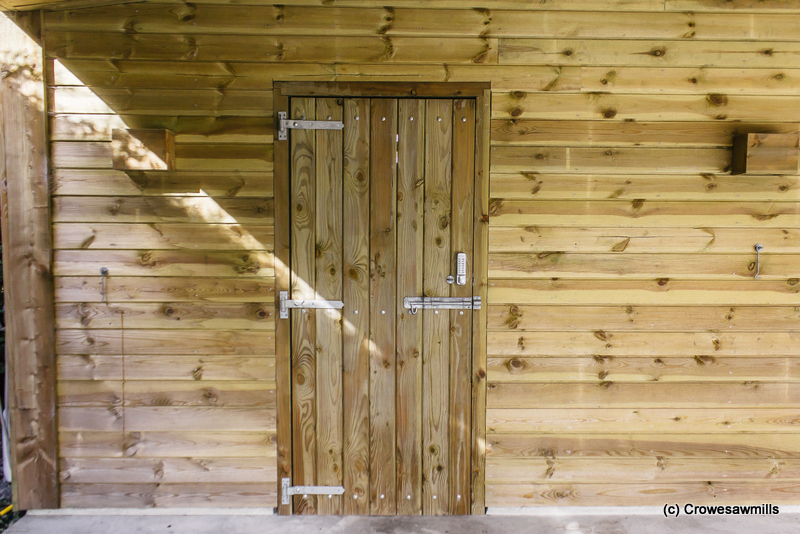 This is beyond our control as timber is a natural product that grows in soil, water,and oxygen is required for timber to live. 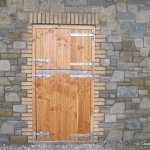 This is a characteristic of larch and Douglas fir red deal timber. 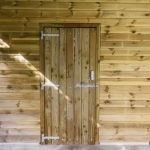 Remember that timber is a natural product and movement can occur within the timber. 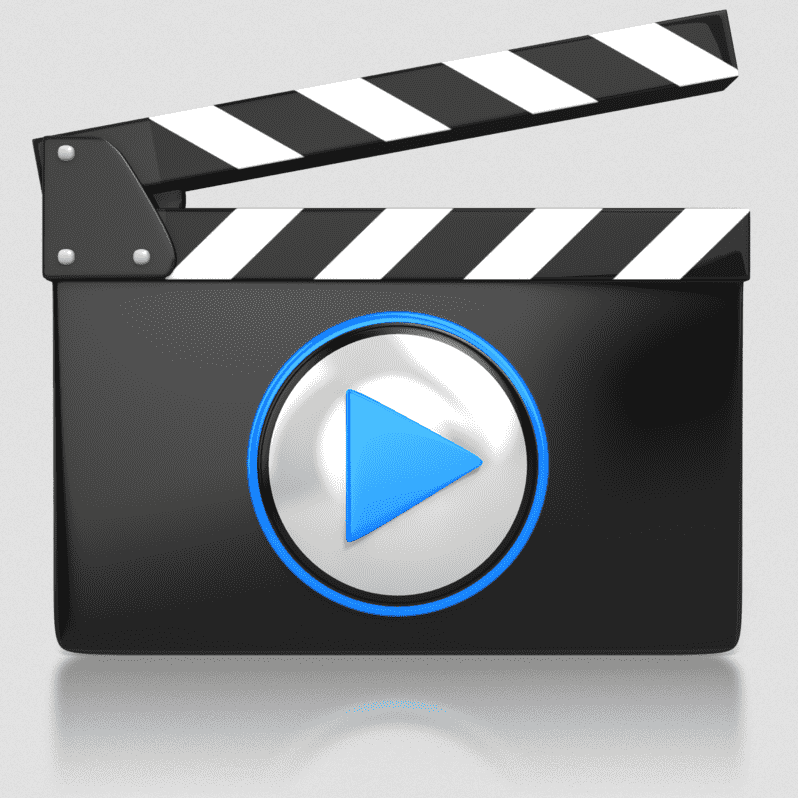 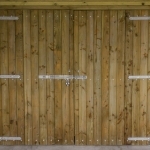 If you require a perfect plastic finish, then timber may not be your most ideal option. 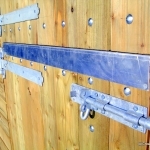 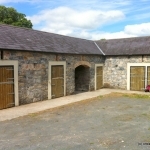 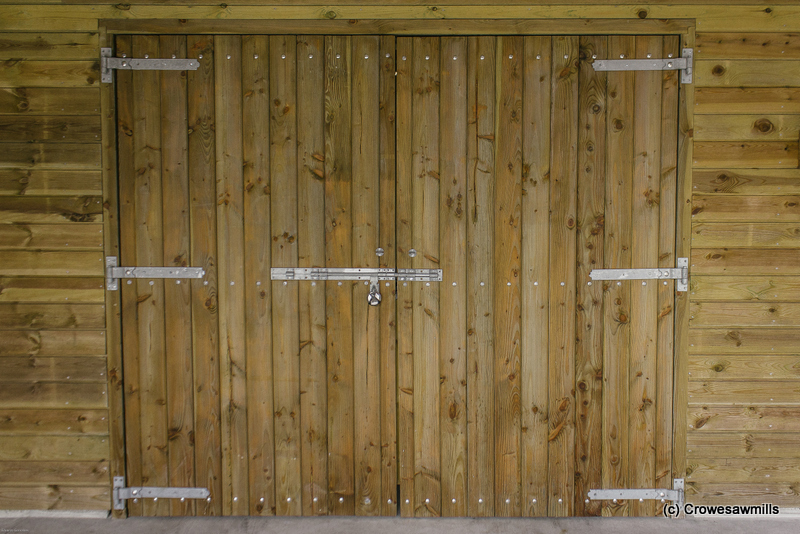 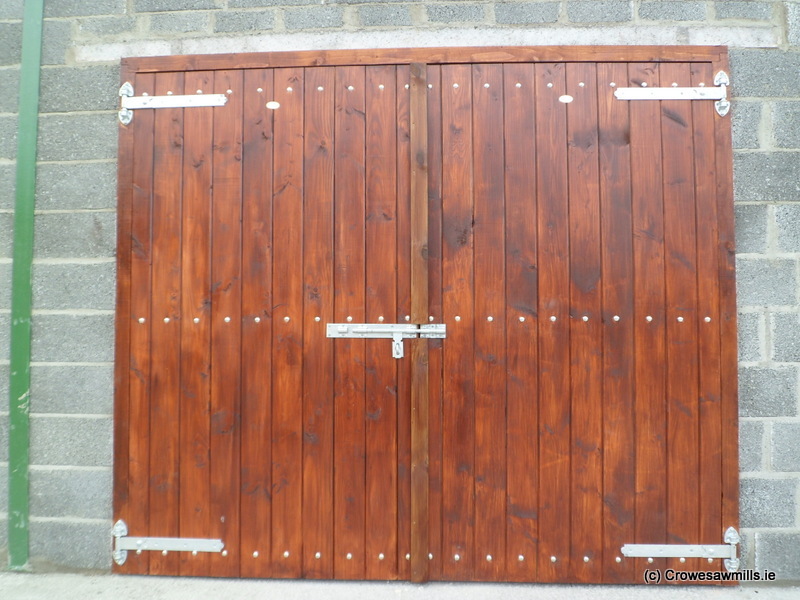 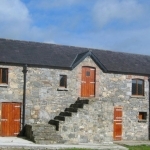 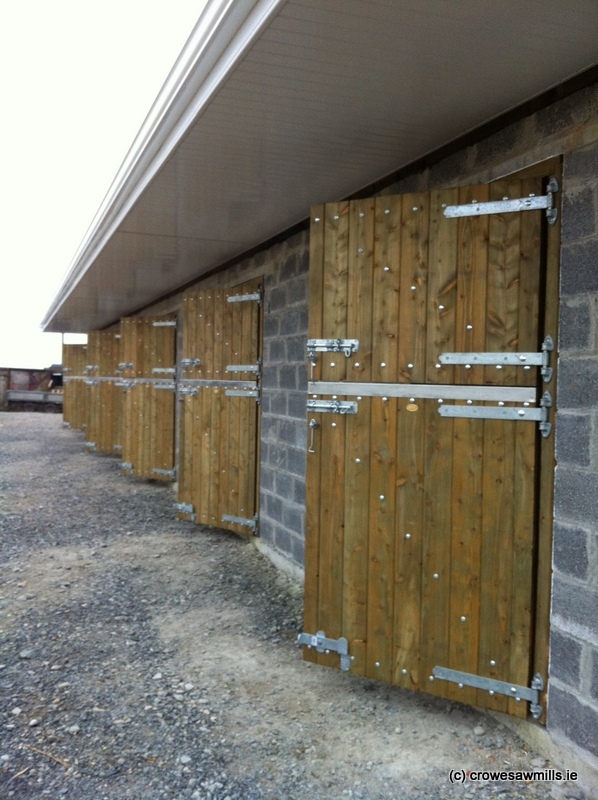 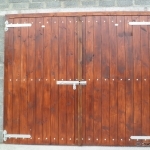 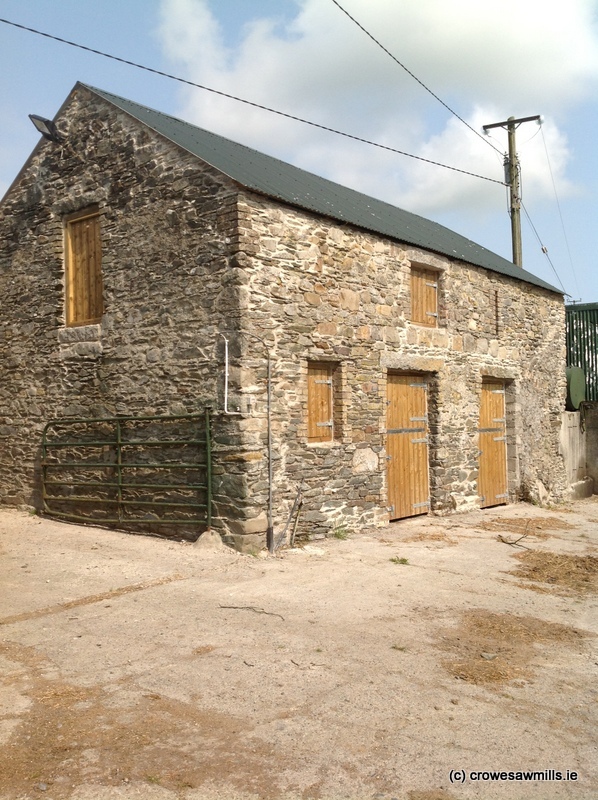 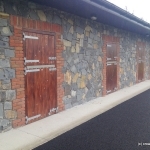 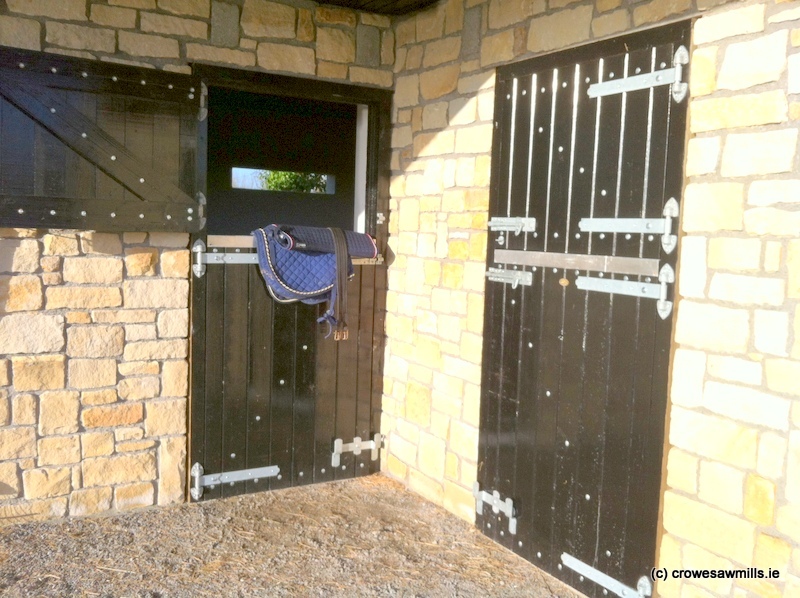 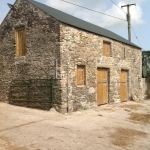 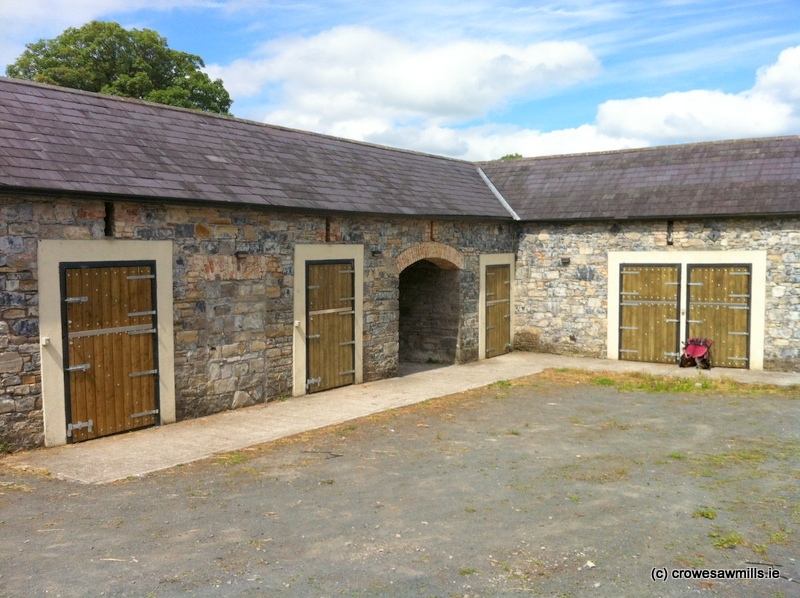 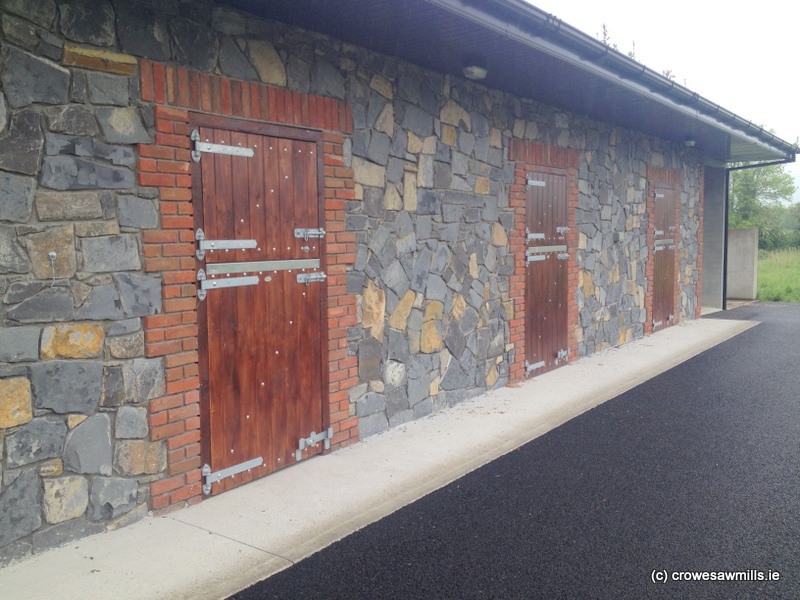 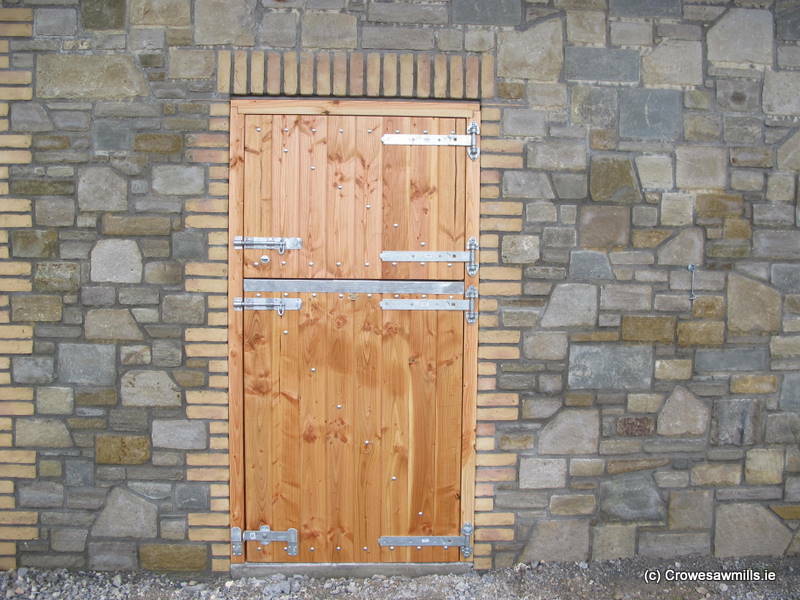 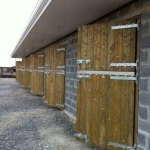 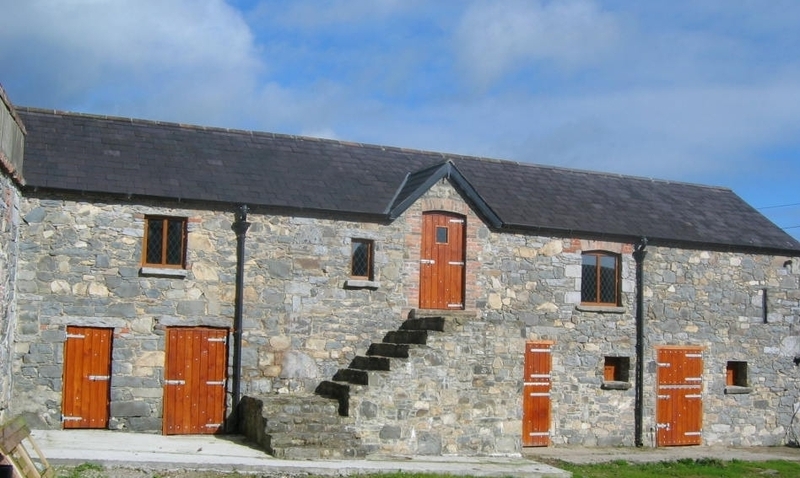 We are happy to take your enquiries and make recommendations for all your stable door and gate needs.